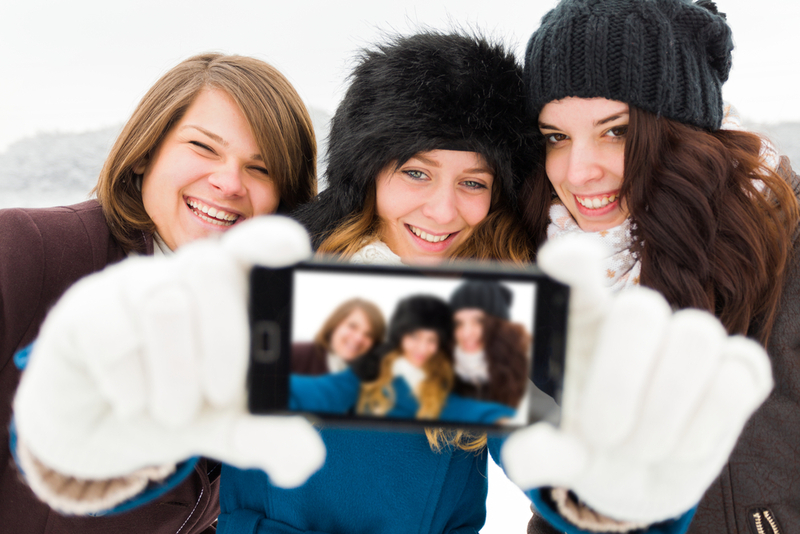 If you’re worried the weather could spoil your winter hen weekend, don’t be! Even it is goes from torrential downpours to freezing snow, you can still create something totally unique. 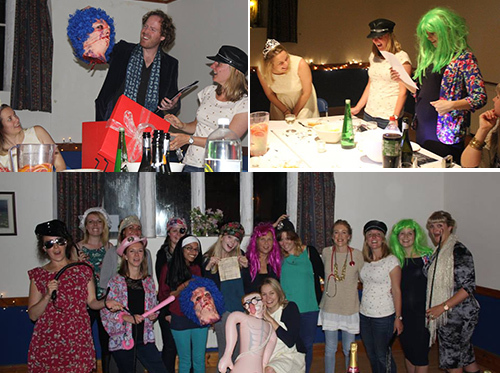 The great advantage of planning a Winter hen weekend, is the cost. Low season prices mean you have more money to spend or even save. 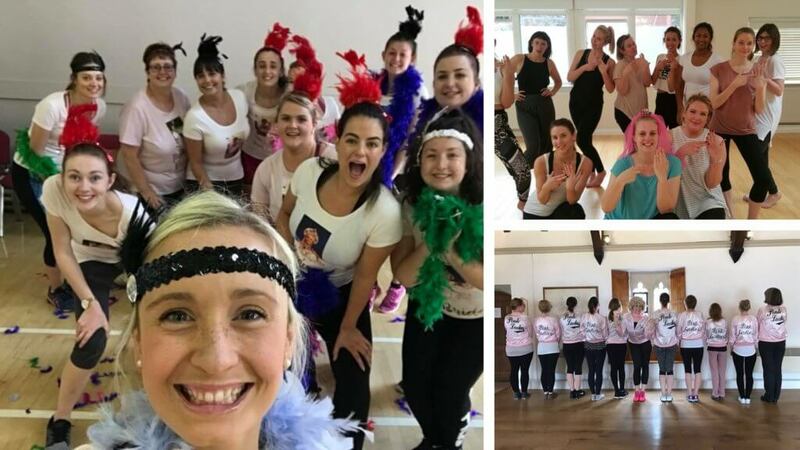 If you choose a Hen Party House you’ll be able to embrace the season whilst unleashing your sequins and sparkles for a wintery celebration to remember. All ‘under one roof’ cottages, allow you to close the door on the weather extremes and create your very own cracking hen party. 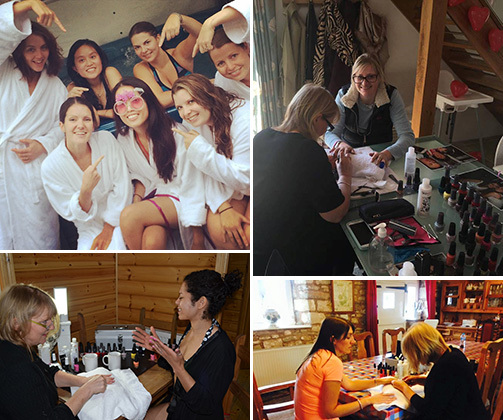 Best of all, you can get the activities to come to you, leaving you to concentrate on the gorgeous bride-to-be! 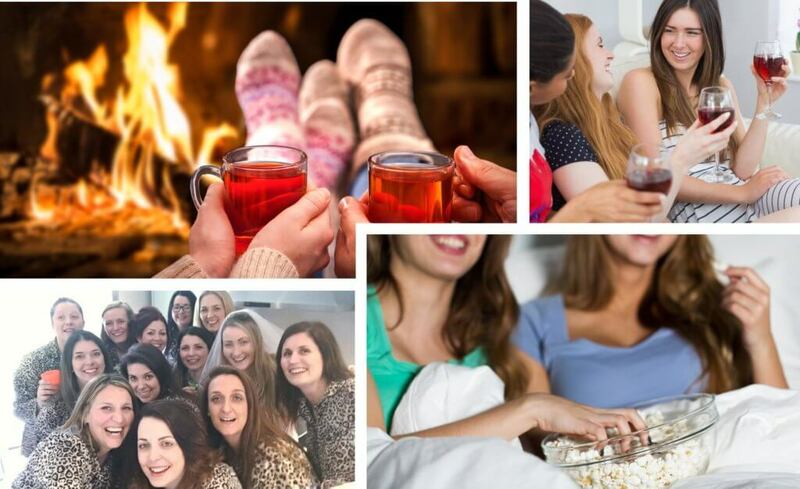 Snuggling on sofas, PJ moments, movie nights and hen party games are to name but a few free activities, to get the party started. Opting for a cottage with a log burner or real fire not only keeps you cosy but it opens up opportunities for melting marshmallows whilst drinking warming hot chocolates. 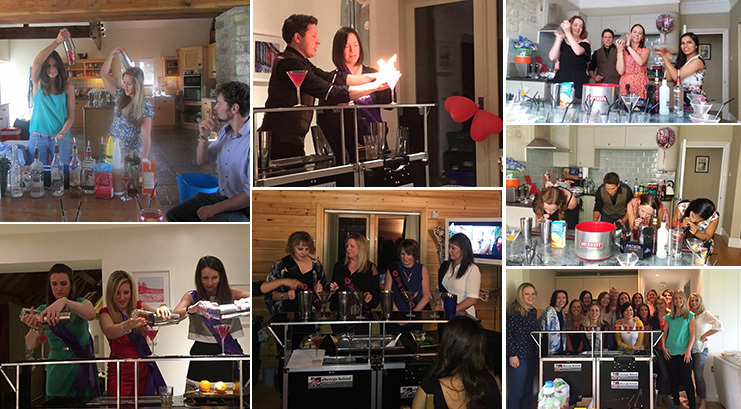 Try and get a cottage with a large lounge and kitchen so you have the space to all come together to chill and chat and enjoy activities like Cocktail Workshops. Cram a table full of prosecco, champagne flutes, party bags, games, canapes and cakes! What better way to get the party started, just as everyone arrives? Embellish the social areas with photos of the bride-to-be and her groom (be careful not to damage the paintwork) and lay some special treats on the beds. 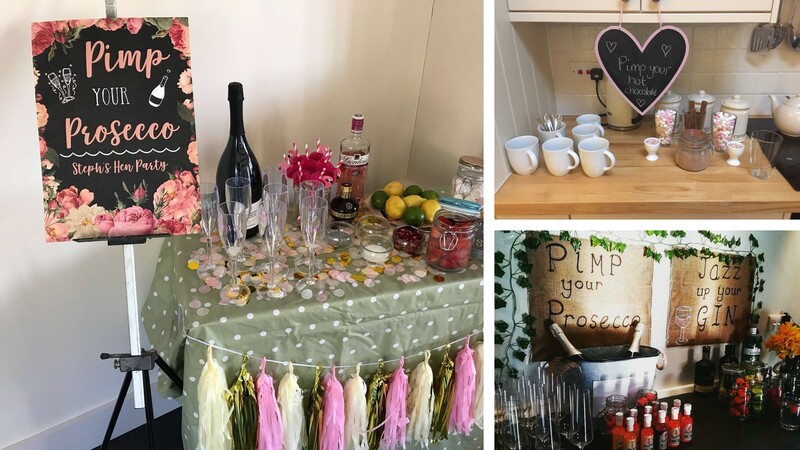 Or, for those who like a tipple, a gin or prosecco station! Take balloons, photo props, cardboard cutouts of the groom (or her fav celeb! ), laminated table place mats with photos of the bride and groom and fairy lights to add sparkle. Some cottages put up Christmas Trees to help get in the celebratory feel, ask us for details. You can then decorate them with photos of the bride-to-be and her family and friends. 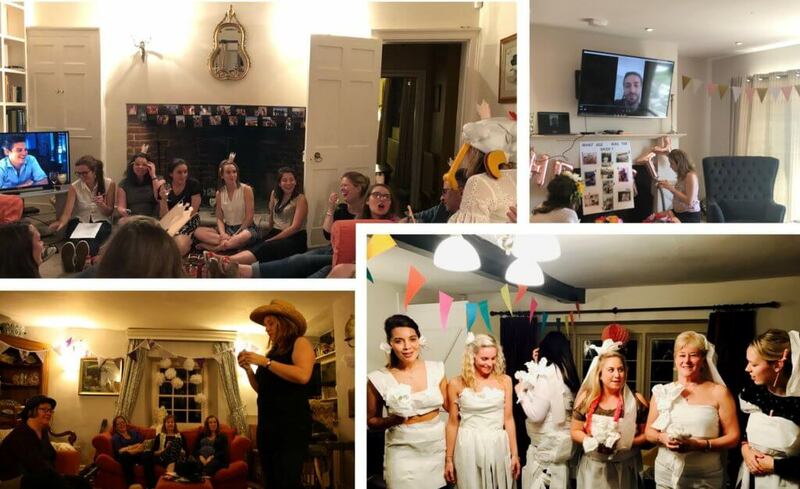 Beer/Prosecco-Pong, How old was the bride-to-be, Wedding Dress Game, Grooms response, Stories about the bride-to-be. See more. 30 minutes of indulgent relaxation with either a back massage, facial massage, manicure or pedicure. Shake, stir and devour 3 wintry cocktails each and bring on huge amounts of fun. Create some bunting, Christmas stockings, flower crowns, knickers or a garter for the wedding day. The ultimate in spoily fun, sit back and enjoy a delicious 3 course meal whilst being entertained by the professional and side splitting funny, murder mystery team. To make a whole day of it, you could include a vintage make-over beforehand and enjoy one of their vintage murder themed evenings! Taxis: If you’re going out, book your taxi transfers beforehand to avoid being caught in the rain trying to flag a taxi. This is especially essential for larger groups. Ice-Skating: it’s the time of year when ice-skating rinks pop up in different cities around the UK. Christmas Markets: explore the Christmas Markets with their wooden chalets selling from the unusual christmas gifts, to the essential mulled wine or prosecco! Great places to go: Bath, Cheltenham, York, Oxford, Bristol, Manchester, Exeter and many more. Meals and nightclubs: arrange a meal out followed by a night on the town dancing till the small hours. Dance lessons: warm up with an intensive Dance lesson. Pick a theme and have a couple hours of hysterical fun. Low season prices in cottages tend to start from November to February, although you can still get excellent deals in October. 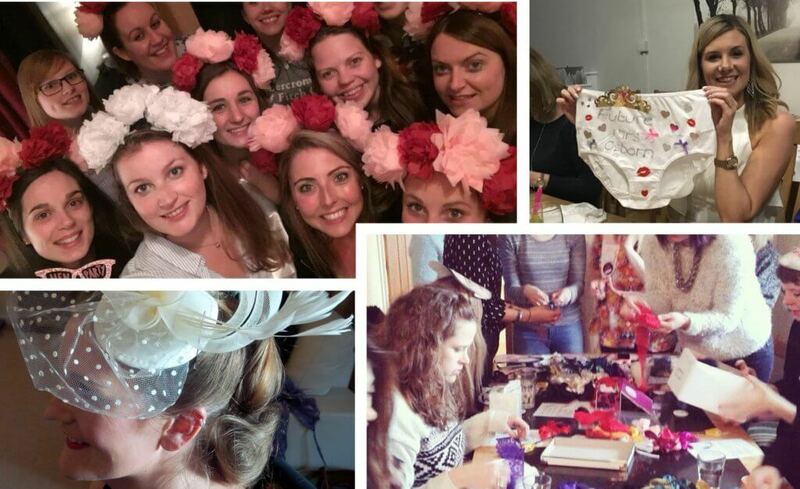 We’re experts in making hen parties happen. 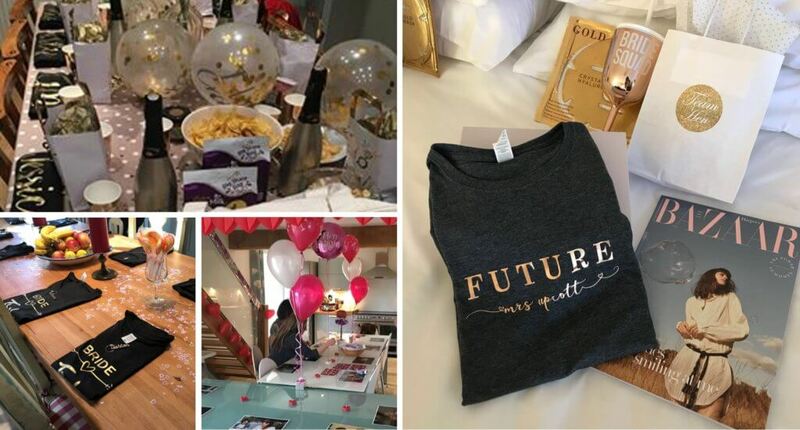 After all your weekend is more than just a beautiful cottage and activities, it’s about the experience from planning to coming home exhausted having had the best hen weekend EVER! 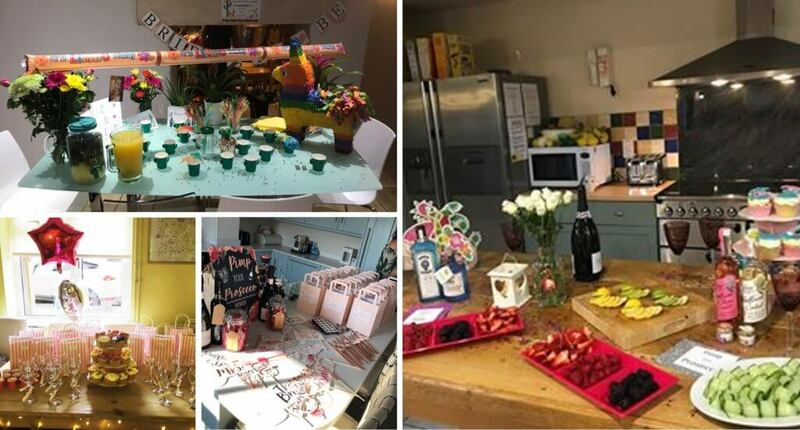 With over 10 years of hen party organising know how, sourcing beautiful cottages & activities, building supplier relations, developing easy to use payment systems and IPP protection to keep your money safe, we aim to give you the best hen weekend possible with the least amount of stress. Contact us and get the conversation started.